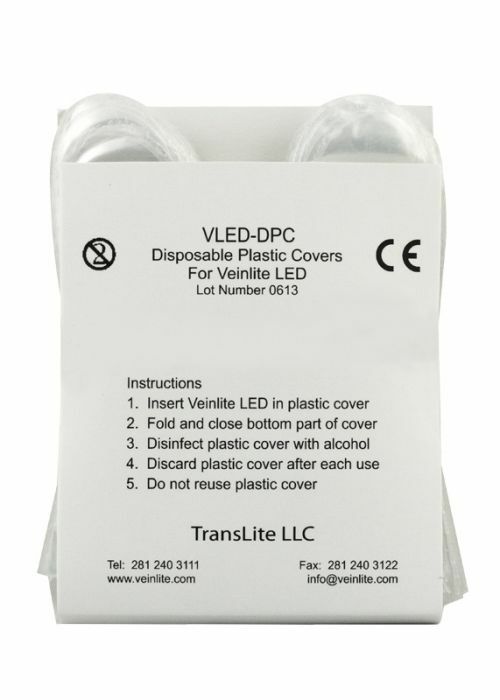 Single pack contains 50 Veinlite LED® disposable plastic covers. 10 pack contains 500 Veinlite LED® disposable plastic covers. 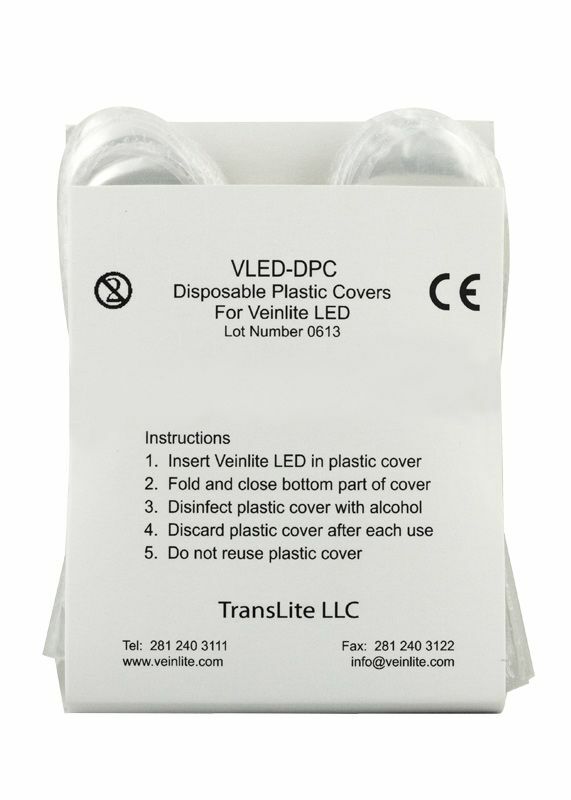 Veinlite LED® disposable plastic covers for single use - 50 per packet - Latex Free. Save 20% when you purchase a 10 pack (500 disposable covers).